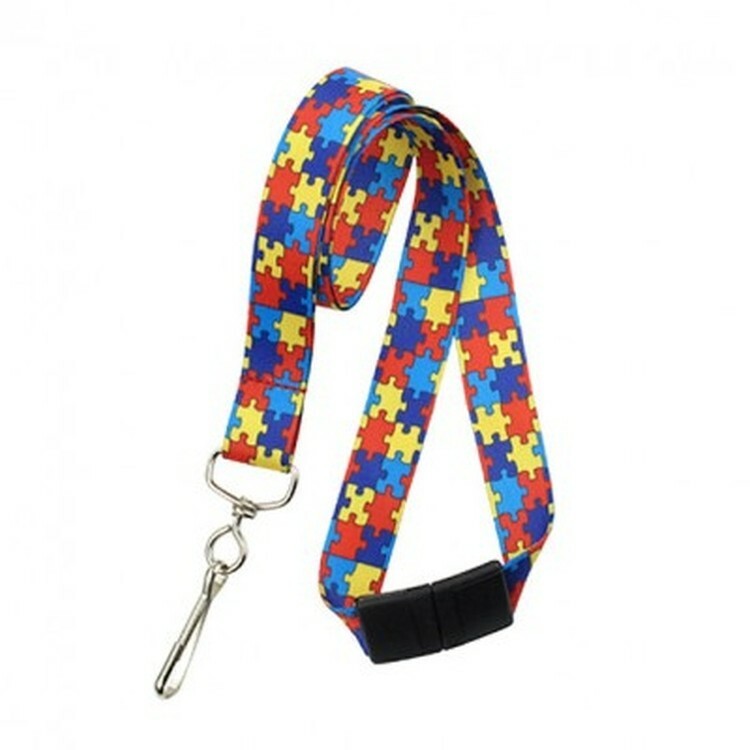 Show your support with our Autism Awareness Lanyards. Great for Charity and Fundraiser events. Price Includes: Choice of 2 stock colors, J-hook attachment, Breakaway feature.